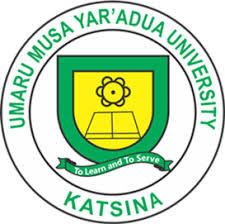 Applications are invited from suitably qualified candidates for admissions into Postgraduate Programmes of Umaru Musa Yar’adua University, Katsina for the 2017/2018 academic session. Interested applicants can apply online via the University websitewww.umyu.edu.ng or http://portal.umyu.edu.ng/pgapplication. Duly completed application forms and supporting documents must be forwarded to the SECRETARY, POSTGRADUATE SCHOOL, UMARU MUSA YAR’ADUA UNIVERSITY, P.M.B., 2218, KATSINA not later than Wednesday, 28th February 2018. Candidates who hold qualifications other than the above, which are acceptable to the Senate of the University. Graduates of recognized Universities who have obtained the approved Bachelors Degree with at least Second-Class Honors (CGPA 3.00) on a 5 point scale. Candidates with Second-Class Lower who do not make up CGPA of 3.00 must possess a Postgraduate Diploma from a recognized institution with at least a credit level pass (CGPA 3.50) in relevant areas. Graduates of Universities who have obtained a good Masters Degree with a minimum CGPA of 3.00 on a 5 point scale shall be required to register for M.Phil/Ph.D and must score a minimum CGPA of 3.50 on a 5 point scale to proceed for Ph.d in the proposed area. Interested candidates for all the Postgraduate Programmes can apply online via the University portalhttp://portal.umyu.edu.ng/pgapplication from Monday, 8th January, 2018 to Wednesday, 28th February, 2018. The procedures of payment of application fees (N10, 500) are available at www.umyu.edu.ng orhttp://portal.umyu.edu.ng/pgapplication.